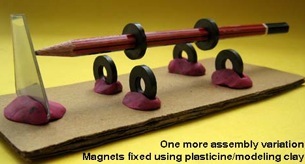 This great Indian site shows hundreds of examples of super low-budget science experiments and toys from waste materials. It’s very inspiring to see how much you can do with limited resources. In fact, most of the designs are far more creative than regular science toys. I have used many of these in my own workshops, with different waste materials, and there were always a success.